Set the wee one free on the ultimate starter bike. With great standover (so they don't squash their valuables) that makes it easy getting on and off the bike, sweet front suspension forks, grip shifters for small hands, and reliable components durable enough for frequent off-road use, your kids will charge confidently into the bright blue world of riding a bike. This year we made the Makena available in two different colors: blue for boys and teal for girls. Go kids. 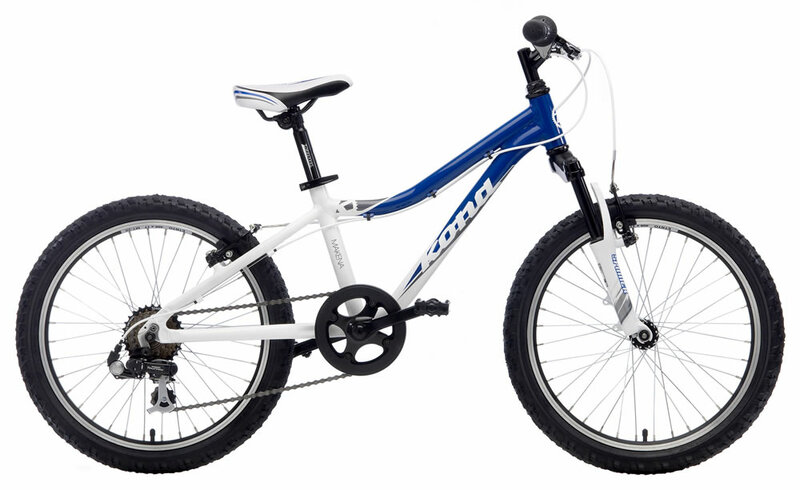 Aluminum is currently the most widely used tubing material in the bicycle industry. Aluminum is often mixed with a number of other elements to create aluminum alloys featuring a host of different ride characteristics, while increasing mechanical properties. 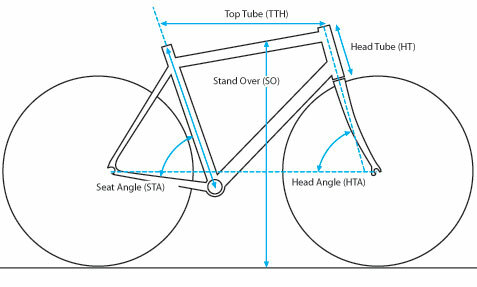 Much of our tubing is butted and/or formed, meaning that the wall thickness of the tubing can be increased or decreased, as well as shaped, allowing us to fine tune a particular frame's ride characteristics depending on the application. 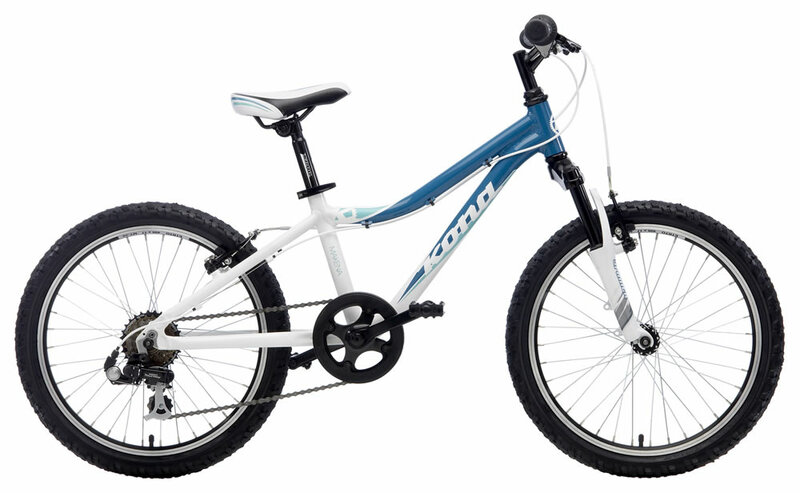 Kona uses butted 7005 aluminum extensively throughout our entire range of mountain, asphalt and road bicycles. A tough, durable, affordable, light, and dependable alloy, 7005 delivers great performance that lasts for thousands of rides. It is, by far and away, the ultimate aluminum tubing on the market today.